Julien’s Auctions has an upcoming event that would surely excite fans of Hollywood celebrities. 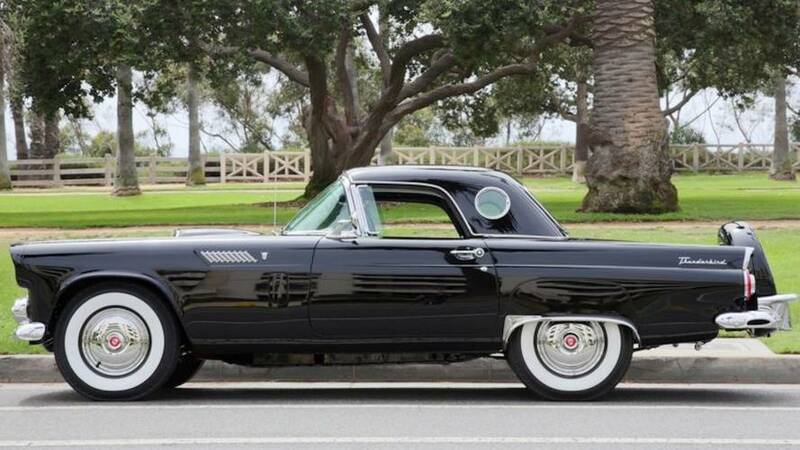 Dubbed as Icons & Idols: Hollywood, the annual auction event will feature 500 lots of Hollywood’s greatest legends, including this 1956 Raven Black Ford Thunderbird that was previously owned by no other than Marilyn Monroe. The 1956 Thunderbird was owned by Monroe from 1955 to 1962. Shortly after getting the T’Bird for herself, she married the celebrated playwright Arthur Miller. According to the bill on Julien’s Auctions, there was a published report at that time suggests that the couple drove this vehicle to their civil wedding ceremony on June 28, 1956, and likely their private wedding on June 30, 1956. Monroe owned the Thunderbird until 1962 when she gave it as a gift to John Strasberg, the son of her acting coach Lee Strasberg and his wife Paula. If that year sounds familiar to you, that’s because this took place a few months before Monroe’s tragic death in the same year. Aside from being previously driven and owned by an iconic celebrity, the car in itself is an icon as well. It’s the first-generation of the Thunderbird – a two-seater convertible sports car that wasn’t really marketed as a sports car, unlike its rival, the Corvette. 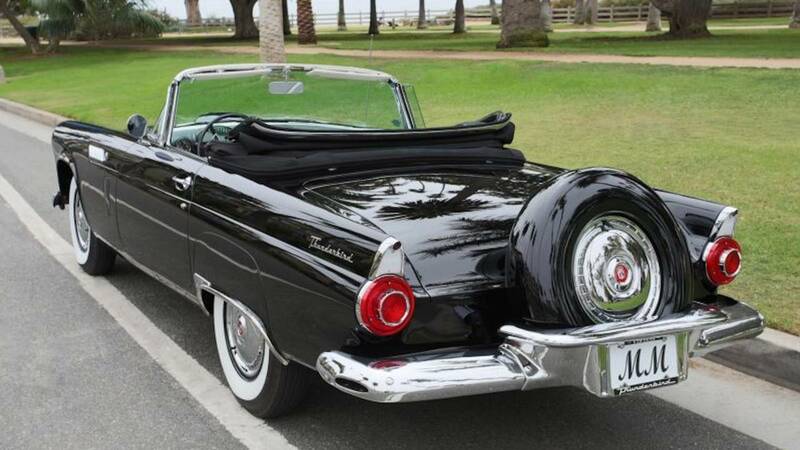 Instead, the Thunderbird was marketed as an upscale model, birthing to a new market called "personal luxury car." Under the hood of this specific Thunderbird is 225-horsepower V8 engine with a top speed of 113 miles per hour. It isn’t much in today’s standards, but remember that it was built in 1955, and these numbers could already blow skirts up. If you like to bid for Marilyn Monroe’s T’Bird, the Icons & Idols: Hollywood auction event will happen on November 16-17, 2018 in Los Angeles, California. You can also bid for it online on the mentioned dates at JuliensLive. Com. Prepare some bread, though, as the ‘Bird will have an expected value ranging from $300,000 to $500,000.